SA​​​​​N ANTONIO – Plans for a mixed-use tower in downtown will include hotel rooms, retail spaces, Class A office space and even a rooftop bar. 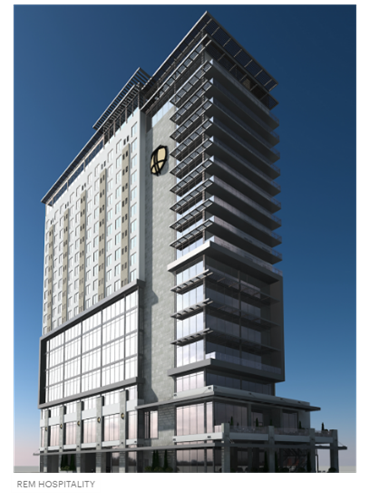 REM Hospitality​ is speeding towards a second quarter 2017 groundbreaking of the mixed-use tower. The locally based developer is planning to deliver the tower with the absence of a garage or designated lot. This could trigger a new wave of development that could avoid incurring the high costs associated with providing a place for cars.